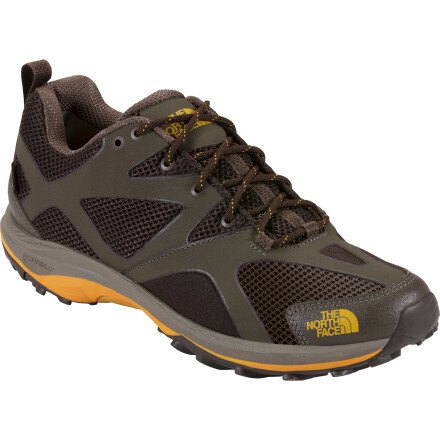 Visit The North Face's Men's	Hedgehog III GTX XCR page. 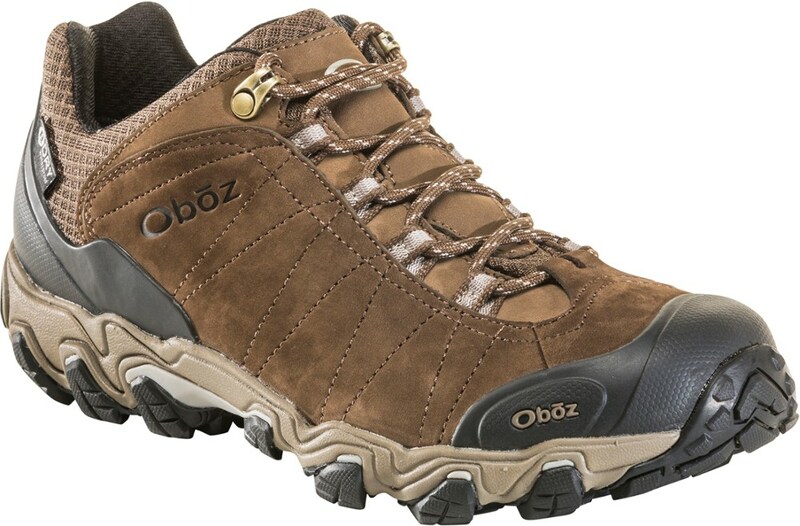 With waterproof, breathable protection, a supportive midsole, and secure Vibram traction, the Hedgehog III GTX is a light hiker that handles almost any conditions. Free Shipping. The North Face Men's Hedgehog GTX XCR III Shoe FEATURES of The North Face Men's Hedgehog GTX XCR III Shoe Upper: Gore-Tex Extended Comfort Range waterproof, breathable membrane Northotic Pro upgraded EVA footbed with Poron Resource heel and forefootcushioning pads and ESS Heal Cradle Pro support Bottom: X-2 dual-density, compression-molded EVA midsole with Cradle technology Injection-molded TPU Snake Plate forefoot protection Exclusive lightweight Vibram rubber outsole Imported SPECIFICATIONS of The North Face Men's Hedgehog GTX XCR III Shoe Last: TNF-001 Approx Weight: 1/2 pair: 14.5 oz / 413 g, pair: 1 lb 13 oz / 826 g This product can only be shipped within the United States. Please don't hate us. Hedgehogs have changed very little over the past 15 million years; on the other hand, The North Face is constantly evolving, offering new products like the Hedgehog III GTX XCR Shoe. 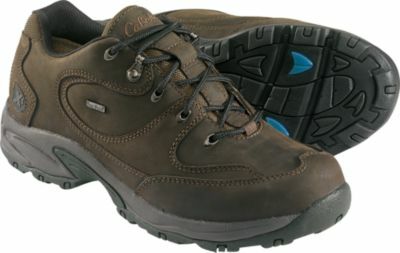 Adventure racers, day hikers, and multi-sport athletes can now enjoy Gore-Tex protection in a lightweight, low-profile shoe that's built for comfort, support, and speed. 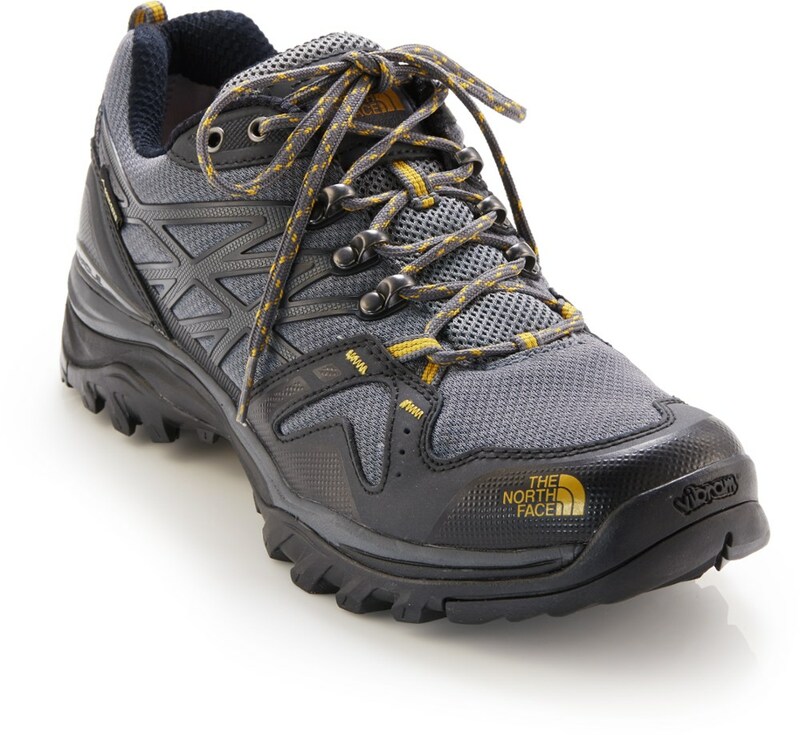 These Hedgehog III GTX XCR hiking shoes from The North Face offer lightweight construction, a stout, supportive fit and waterproof protection to keep feet as happy as a hedgehog on the trail. Synthetic leather uppers with nylon mesh panels are flexible, lightweight and durable for breathable, comfortable use on the trail. Reinforced toe boxes and molded rubber heel counters protect uppers from abrasion; gusseted and padded tongues keep out debris and add comfort. Seam-sealed Gore-Tex(R) XCR(R) inserts with wicking nylon linings offer waterproof protection while allowing your moisture vapor to escape. Removable EVA footbeds feature forefoot and heel cushioning pads and built-up heels for enhanced support. Dual-density EVA midsoles deliver all-day cushioning and shock absorption; heels feature a stiffened cradle to help center the heel and enhance stabilty. Thermoplastic urethane shank plates add torsional rigidity and protection from uneven terrain. 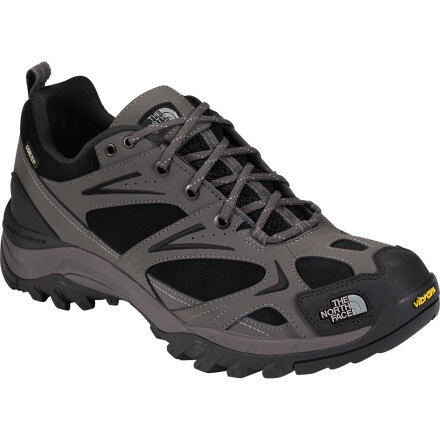 The Hedgehog III GTX XCR hiking shoes feature aggressive Vibram(R) rubber outsoles to supply dependable traction on uneven terrain. 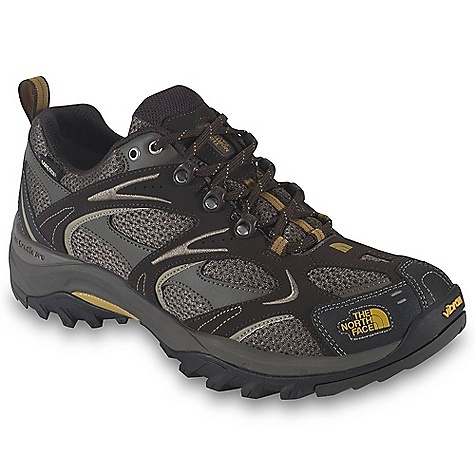 The North Face Hedgehog III GTX XCR is not available from the stores we monitor. It was last seen November 11, 2014	at EMS.